A Chinese university canceled a visiting U.S. professor’s lecture after the school’s social media account was flooded with comments critical of the scholar. Professor Ma Haiyun, an associate professor of history at Frostburg State University in Maryland, was scheduled to give a lecture at Jinan University, located in the southern Chinese city of Guangzhou. Ma, whose research focuses on Islam and the Muslim population in China, had criticized the Chinese authorities’ recent crackdown on Muslims in Linxia Prefecture, an area of Gansu Province that is home to about 1 million Hui people, who are Han Chinese who take on the Muslim faith. In January, local authorities in Guanghe County, Linxia Prefecture issued an announcement prohibiting all students in kindergarten, elementary school, and junior high school from participating in religious activities during winter break. Ma said during a Radio Free Asia (RFA) interview that the ban on religious activities violated China’s constitution, which, on paper, guarantees the freedom of religion. Ma also said that China’s “Regulation on Religious Affairs,” which took effect on February 1, violated the principle of separation of church and state. The regulation stipulated that all Islamic Chinese who wish to travel overseas for their religious pilgrimages must go with a tour organized by a national-level Islamic association, organizations sanctioned and overseen by the Chinese Communist Party. Netizens who found out about Ma’s criticisms of the Chinese regime immediately took to the school’s official Weibo account—a social media platform similar to Twitter—urging school authorities to cancel the lecture, according to Chinese state-run newspaper Global Times. “Your school is so brazen, to openly challenge the Party’s authority while supporting a religious extremist. Is the school getting ready for a rebellion?” asked a netizen with the moniker BarbaraDabrowska from Chengdu, the capital of southwestern China’s Sichuan Province. The Chinese regime has used the “religious extremist” label to justify its suppression of minority religious groups such as Hui people and Uyghur ethnic people, the majority of whom also practice Islam and reside in the northwestern region of Xinjiang (which borders Gansu). “Ma Haiyun is a two-faced person that is against the Chinese Communist Party (CCP). He attacked China’s religious policy while he was outside [of China],” wrote a netizen with the name “pancaker” from Beijing. The announcement to cancel Ma’s lecture was posted on June 18 on the university’s Chinese Language and Literature Department’s website. but did not provide an explanation for why the lecture was canceled. It is unusual for netizens to know about Ma’s interview with RFA, since the RFA website, which is funded by the U.S. government, is blocked in China. In March 2017, Meng Juntao, a resident of Xinjiang, was placed under 15-day administrative detention for using a virtual private network (VPN) app that allowed him to access the internet through a server outside of China to access RFA and other blocked sites, reported RFA. 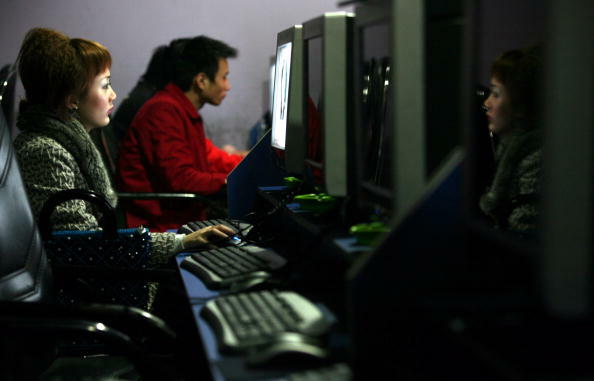 Since the Chinese regime has tight restrictions under its internet censorship apparatus, it is likely that those Weibo users critical of Ma and the school are not actual students of Jinan University, but paid online trolls or the “50-cent party”—people paid by the Chinese regime to make online posts that sway public opinion in favor of the CCP, and slander those who fail to toe the Party line.